As a parent or grandparent you know the beauty of having a child. The over whelming feeling of love and joy when you hold that baby in your arms. 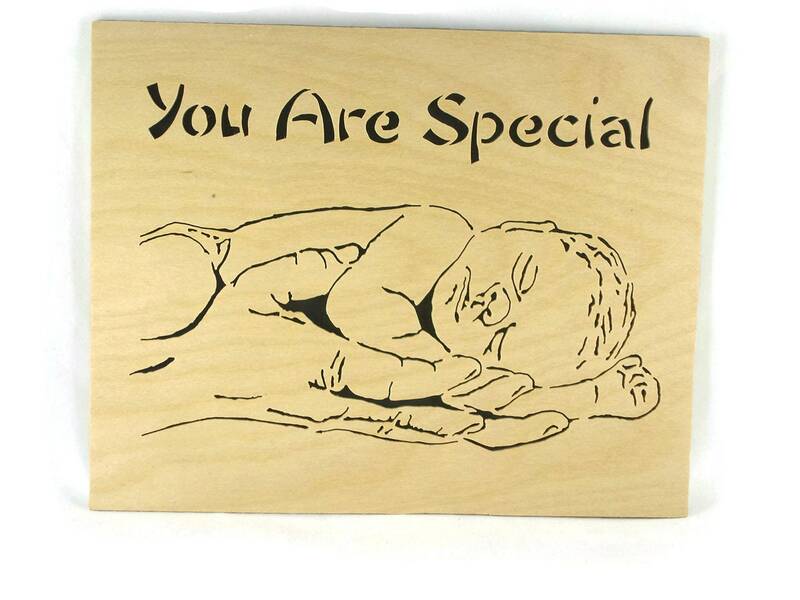 This handmade precious baby laying in mothers or fathers hands featuring the words "You Are Special" wood-art portrait portrays those feelings beautifully. One look and you can see your own baby or grand-baby in the picture. 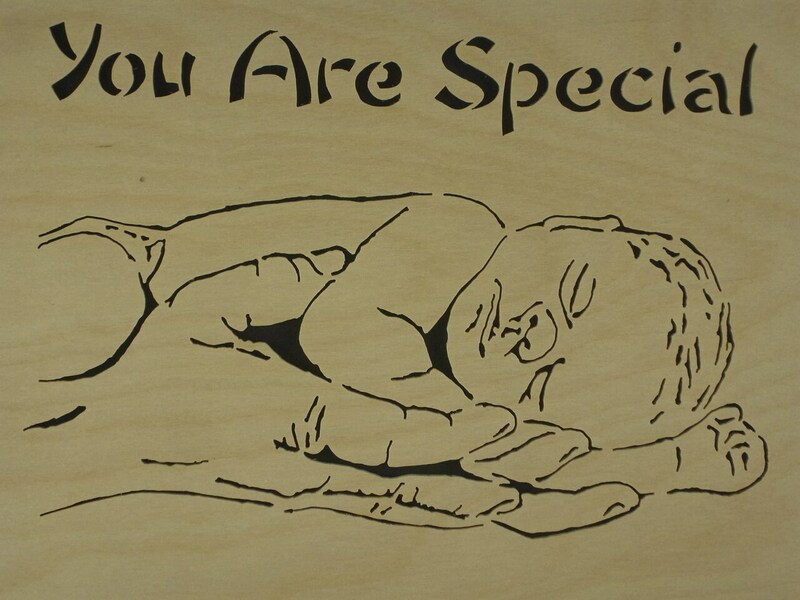 This portrait is a scroll saw work of art made from birch wood. The portrait is backed with black foam and is shown in a OPTIONAL 10 x 13 frame with 8 x 10 white matte that show cases the portrait beautifully. Three coats of polyurethane clear spray is applied to protect this wood art for many years of enjoyment. 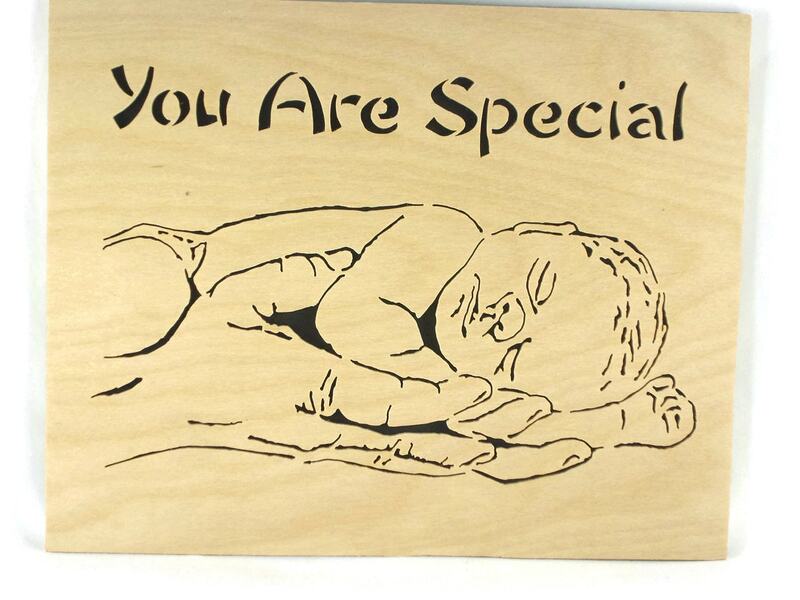 Makes a perfect gift or keepsake to hand down. Beautiful in the picture, even better in person. 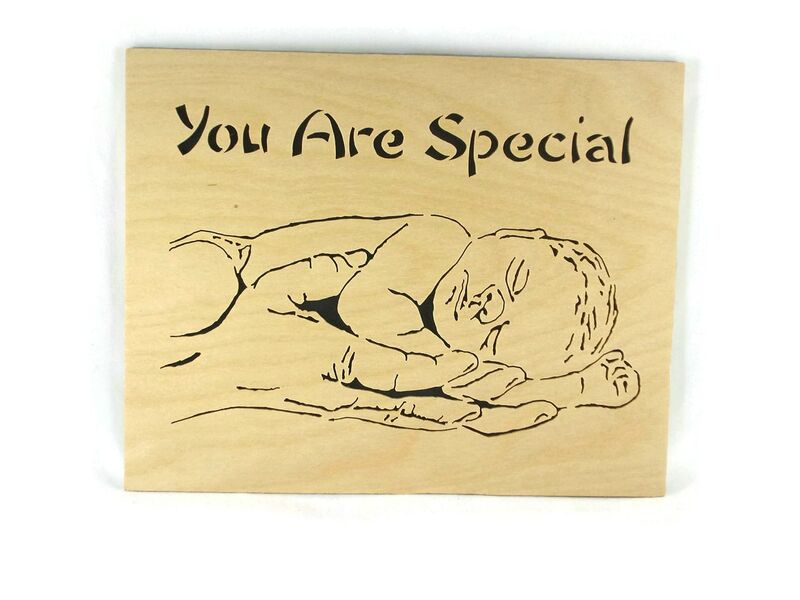 Wood cutting is 8 x 10 inch and 1/4 inch thick.. PLEASE NOTE: This is designed to be in a picture frame..